New housing starts tumbled in the Toronto region in October as builders slowed the pace of new project construction amid market uncertainty. Canada Mortgage and Housing Corp. said 2,438 new housing units were launched in the Greater Toronto Area in October, a 42-per-cent drop from 4,204 units in the same month last year. Starts were also down 21 per cent over September on a seasonally adjusted basis. The downturn affected all housing types, with single-family detached home starts down 44 per cent in the GTA in October from a year ago, while condominium starts declined 52 per cent as fewer new projects launched compared with last year. New housing starts are notoriously uneven because they are swayed by launches of large new developments. But many other communities around the GTA also saw starts fall sharply in October compared with a year earlier, suggesting a broader regional trend. Compared with the same month last year, for example, CMHC said October starts were down 47 per cent in Hamilton, 59 per cent in Guelph, 30 per cent in Kitchener-Waterloo and Cambridge, 55 per cent in London, and 28 per cent in Peterborough. The declines helped drive new housing starts down 29 per cent in Ontario in October. 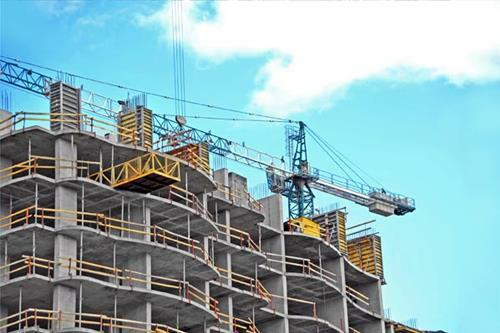 St. Catharines and Niagara bucked the regional trend, however, recording a 64-per-cent increase in housing starts due to a large jump in condo construction, with 156 units launched in October compared with just six a year earlier. On a national basis, Ontario was the weakest province for new construction in October compared with a year ago, while Quebec led the country with a 67-per-cent increase in new starts compared with the same month last year. Across Canada, housing starts climbed 16 per cent in October. Economists are now forecasting that growth in housing starts will remain weak in the Toronto region as it continues to face an uneven recovery in home sales demand following a market downturn through the spring and summer. The volume of permits issued for new housing construction, which is a forerunner to housing starts, has decreased over the past three months, which will affect housing starts going forward, said Marc Pinsonneault, economist at National Bank of Canada. "From now on, we see permits that are simply in line with the current level of starts, so that suggests to us that starts will simply stay at a more normal level," he said in an interview Wednesday. Mr. Pinsonneault forecasts Ontario will see 70,000 housing starts in 2018, a decline from 79,000 starts estimated for 2017. He said the drop in new construction activity is a reaction to an array of policy measures aimed at cooling demand in hot Ontario markets, but the result will be a moderation in construction growth, rather than a major market correction. "It's a reaction, but the reaction will be such that we will return to more moderate levels, but I don't want to suggest that we will go to recession-like levels," Mr. Pinsonneault said. But Bank of Montreal economist Robert Kavcic said he believes Toronto is not facing a downturn in housing starts as a result of the variety of new policy measures introduced this year to cool the housing market, but is merely experiencing a monthly swing because of the lumpiness of project launches. "Underlying demand is still strong, driven by population flows from outside Canada and other provinces," he said. After smoothing out the monthly swings over the year, Mr. Kavcic said new-home construction in Toronto is still likely to come in close to last year's level at almost 40,000 new units, "which is a very strong clip." "We're down a bit from 2016 levels, but that was a big year when builders were partly catching up from the lull through 2014 and early-2015," he said. Forest Hill Central is a leader in the Toronto Real Estate Market. If you are seeking to align yourself with the highest level of professionalism, we'd like to meet you.